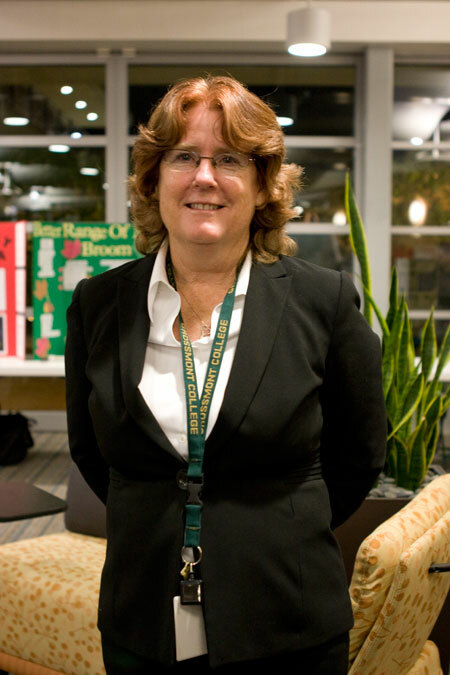 GROSSMONT COLLEGE — There is a new Dean on campus, but she is far from being new to the school. Debbie Yaddow who has devoted 21 years to the Grossmont College Nursing program, is now the Dean of Allied Health and Nursing. Yaddow related that she “fell” into her career, how she never planned to have it take her this far. She said that she started as a respiratory therapist, and later on became a nurse once. 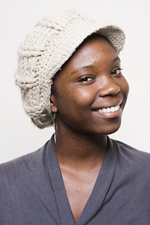 Still later she decided to become a teacher, where she could help others learn the nursing profession. “ I love teaching, because you really make a difference in students’ lives,” she said. As the Dean her responsibilities are still to students, but in addition she is “working behind the scenes” on such tasks as securing “the best state-of-the-art equipment, facilities for the students, ” she said. If there is a school-related problem, the students are encouraged to first see their teacher and then their director of nursing, before coming to her, Yaddow said. She added that if she needs to get involved then she will. Grossmont College’s CVT program, founded in 1972, was the first to be accredited in the nation and is currently the only CVT program in California to offer all three cardiovascular technology tracks, including vascular, echocardiography and invasive cardiology. Grossmont’s CVT grads are currently working in more than 90 percent of the available cardiovascular-related jobs in San Diego. GROSSMONT COLLEGE — The Occupational Therapy Association (OTA) held its annual assistive technology show on Tuesday night, Nov. 16, in the health science complex. Instructor Darlene Cook assigned students to find clients with disabilities or a hardships, then interview them to learn what some of the main problems were in their lives and how these problems obstructed their abilities to do day-to-day activities. Next they were to invent devices to help clients with those activities, while keeping the cost of the device under $20. Its components should be made of common materials. Student Mike Hanna encountered a client with a form of cerebral palsy, who had difficulties in his wheelchair going in and out of doors. All too often, the doors would slam on him before he could navigate his chair all the way through the doorway. In response, Hanna invented the “Door Stop on a Stick.” A device made of a standard door stop, two foot long wood dowel, rope, glue, and Velcro. It was designed to be jammed into the doorway by the client then withdrawn by a rope after the wheelchair passed through.. The invention cost Hanna $11.25 in materials. 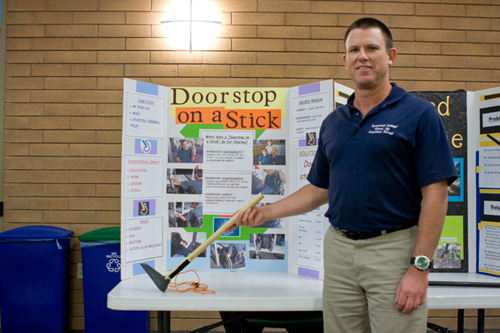 Hanna’s “Door Stop On A Stick” was just one of many inventions that were there at the OTA Annual Assistive Technology show. building is complete; it is official. On Friday, Sept. 17, Grossmont faculty, students, and esteemed guests celebrated the opening of the brand new, “state of the art” Health and Sciences Complex.. Grossmont College President, Dr. Sunita Cooke described the building as “futuristic, functional, and stunning,” during the opening ceremony. GROSSMONT COLLEGE (Press Release) – An impressive array of demonstrations of everything from high-tech mannequins filling in as faux patients to a mock crime scene replete with a murder “victim” slumped over a living room sofa capped the grand opening Friday, Sept. 17, of Grossmont College’s new health and sciences complex, almost two years to the day after a groundbreaking ceremony at what was then little more than a large dirt lot. The lifelike mannequins that are programmed to respond as patients to the prodding of nursing students is but one feature of the facility chockfull of learning labs, each lending its own twist to real-world instruction. A casting room for the orthopedic technology program. A mock apartment for students in the occupational therapy assistant program. A blood-spatter room for forensic technology students to analyze blood drops. A laser photography room for bullet trajectory analysis. A rooftop deck for astronomy students and star-gazers. Simulated ICU patient stations with ventilators to train respiratory therapy students. Sound booths and a therapy room simulating a clinical setting for students seeking careers as speech-language pathology assistants. These are among the multiple learning labs inside the $35 million complex, the last completely new building at Grossmont College to be constructed with funds from the 2002 passage of Proposition R, the $207 million facilities bond measure, and state bonds. The kind of cuts we like on campus! 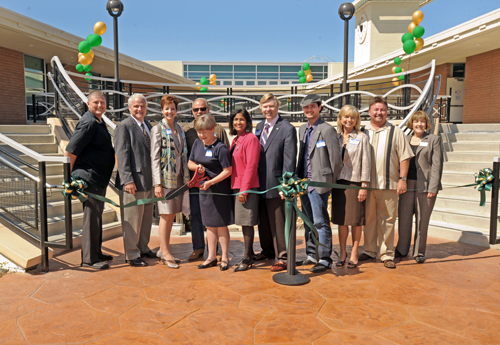 GROSSMONT COLLEGE (Press Release) — Deanna Weeks, vice chairman of the Grossmont-Cuyamaca Cuyamaca Community College District, cut the ribbon Friday, Sept. 17 at the new health sciences complex on the Grossmont campus. The ribbon cutting lineup, from left included: Cuyamaca College Student Trustee Charles Taylor; Governing Board Trustee Greg Barr; Chancellor Cindy L. Miles; Ron Asbury (in dark eye-glasses) who is serving as chair of the Prop. “R” Citizens Bond Oversight Committee; Vice Chairman Weeks; Grossmont College President Dr. Sunny Cooke, Governing Board Trustee Rick Alexander; Grossmont College Student Trustee Christopher Enders (wearing hat); Governing Board Trustee Mary Kay Rosinski; Dale Switzer, District Senior Director of Facilities Planning, Development and Maintenance; and Sue Rearic, Vice Chancellor, Business Services. Preceding provided by Grossmont-Cuyamaca Community College District. Photo by Stephen Harvey. GROSSMONT COLLEGE (Press Release) — Vanessa Cordova, newly hired nurse at Sharp Grossmont Hospital, quickly assesses the situation. A 46-year-old patient, J. Smith, had been admitted after collapsing at home and losing consciousness. A heart patient, Smith is hooked up to a monitor, looking pale, but otherwise resting calmly while Cordova, the incoming day nurse, begins her morning assessment, studying his medical chart and taking his blood pressure. Also in the room are Smith’s wife, a second nurse and a certified nurse’s assistant, who is busy cleaning the patient and readying him for breakfast. Suddenly, the patient complains about his heart racing and the monitor confirms a dangerously fast heart rhythm. Moments later, his breathing becomes labored and the monitor now shows his heartbeat has become weak and irregular. Recognizing the perilous situation, Cordova calls for a “Code Blue” team, hailed in instances of cardiac arrest, and begins CPR. Smith’s wife is ushered away from the bed, a charge nurse arrives to further survey the scene, and the room is now abuzz with activity. Moments later the Code Blue team arrives, a defibrillator is engaged, the familiar call of “clear” preceding each shock of the heart. Despite the team’s attempts to revive Smith, the flat line of the monitor refuses to budge and after the doctor’s muted consultation with the nurses, then the spouse, all activity ceases and a time of death is called. What, for all appearances seemed like an actual hospital room was, in fact, a high-tech simulation lab inside Grossmont College’s recently completed $35 million health and science complex, with a lifelike computerized mannequin, or SimMan, filling in as patient Smith. Debbie Yaddow, the college’s associate dean of nursing, said Grossmont’s simulation labs with their half-dozen patient simulators have been used for the past year by Grossmont, Alvarado and Scripps-Memorial hospitals, but last week’s contingent of trainees was the largest ever and the first to use the sparkling new labs inside the Health and Science Complex, the latest Grossmont College project made possible by the 2002 passage of the $207 million facilities bond measure — Proposition R — and state bond funds. The nursing program now has a three-bed “intensive care unit,” a five-bed simulation lab and three regular labs, which also are used for classroom instruction. All have video capability. Grossmont College President Sunita “Sunny” Cooke said the college welcomes the opportunity to share its state-of-the–art facility with local hospitals. “This is an opportunity for you to practice the protocols before you have to do it at the hospital,” she told the nurses, who were each given a role to play in the 20-40-minute scenarios, from the primary nurse, the nurse’s assistant, the family member, the charge nurse and others. The medical mannequins, like the SimMan models Grossmont first began using in 2001, have been refined over the past decade, thanks to computer software advances and improved engineering that allow the lifelike devices to simulate an even wider range of bodily functions and reactions to the poking and prodding by students and nurses. Not only can they blink, drool, bleed, breath and urinate, the latest models, equipped with integrated speakers, can speak and emit realistic heart, lung and bowel sounds. In short, the mannequins have become much more lifelike in their responses to procedures such as cardiopulmonary resuscitation, intravenous medication, intubation, ventilation, and catheterization. Technicians operate them from inside a control booth via laptops and software that can mimic reactions to medical and nursing procedures. With the Health and Science Complex now completed, next on the Prop. R agenda are the Grossmont College Student and Administrative Services/Griffin Center Renovation due for completion in winter 2011, and the expansion and remodel of Cuyamaca College’s library, expected to be completed this summer.